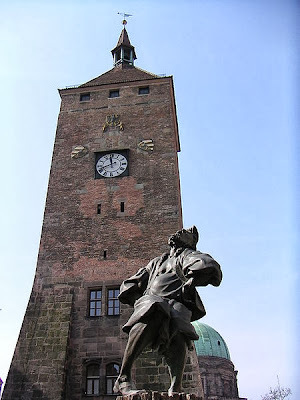 Nuremberg is often referred to as having been the 'unofficial capital' of the Holy Roman Empire. Nuremberg held great significance during the Nazi Germany era. Because of the city's relevance to the Holy Roman Empire and its position in the centre of Germany, the Nazi Party chose the city to be the site of huge Nazi Party conventions – the Nuremberg rallies. The rallies were held 1927, 1929 and annually 1933-1938 in Nuremberg. Between 1945 and 1946, German officials involved in the Holocaust and other war crimes were brought before an international tribunal in the Nuremberg Trials. Nuremberg was chosen as the site for the trials for specific reasons: the city had been the location of the Nazi Party's Nuremberg rallies and the laws stripping Jews of their citizenship were passed there. There was symbolic value in making it the place of Nazi demise.